Buy tickets early to get top deck access. 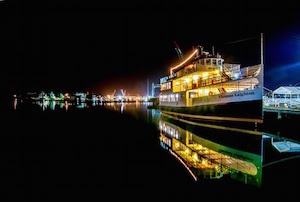 Come see the fireworks from the best seat on the seacoast; the M/V Thomas Laighton. Cruise will go rain or shine.